With Brazilian Jiu-Jitsu experiencing an uptick in popularity lately, many people are looking to the art for the first time and seeing what it can bring to their lives. Thoughts then turn to children and whether they too can benefit from jiujitsu. After all, there are countless advertisements touting BJJ as the ultimate form of self-defense-the antidote to bullying. Parents see the choke defenses, headlock escapes, and sucker-punch counters and think “perfect, this style of self-defense can keep my child safe from bullies, WITHOUT teaching them to hit people”. And it can, but perhaps not in the way those people originally thought. One of the main things that Jiujitsu does (especially in children) is to promote a different way of thinking. The constant physical contact and action-reaction based nature of jiujitsu helps to inspire confidence within its practitioners. Because you are literally always working with another person, and people are unpredictable by nature, you start to learn to constantly be aware, but not fearful. When rolling you learn to expose yourself less whilst protecting yourself more. You become confident in your ability to protect your space. You gain confidence in yourself knowing that you are able to protect yourself, regardless of what someone else does. Jiu-jitsu WILL put you into situations that are unfamiliar, it WILL put you into positions that are uncomfortable, and it WILL force you to push past your limits time and time again. But because of that constant adversity, a certain intrinsic toughness is nurtured and brought to the forefront. With children often being referred to as “sponges”, this thought process is perhaps one of the most important things transferred to them. 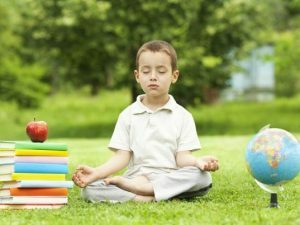 We transfer to children the ability to overcome their fear(s), we teach them that you don’t have to lash out when you’re fearful or nervous. Jiujitsu helps to teach patience and demonstrates that thrashing about in a stressful situation only serves to make the danger worse, and it shows this lesson is one that can be applied across many facets of our lives. When we sign our children up for jiujitsu classes we are hoping that their instructors will teach them to protect themselves. Protect themselves from the physical threats; the mean kids, the bullies etc. But perhaps one of the best things they learn is the confidence to NOT react with violence. Because they learn that you don’t have to. 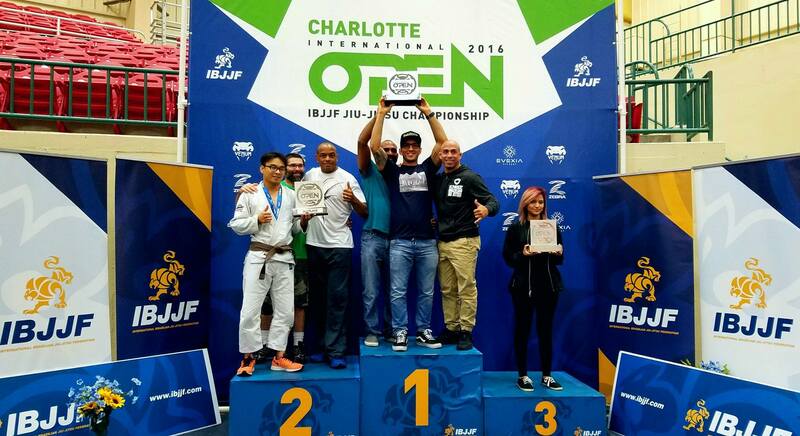 In the world of No-Gi grappling the No-Gi Pan American Championship is amongst the most prestigious. Usually drawing world-class competitors and teams alike, the 2016 edition of this event was no different. Team Lucas Lepri sent three athletes to compete at the event and incredibly, all three went on to earn medals. We spoke with the three to get a bit of insight into their thoughts and training habits as they reflected on their performances. What was your training like the week leading up to this years No-Gi Pan-Ams? The entire last month before the competition I was training Monday-Saturday. Monday-Thursdays I would train twice a day and on Friday I would train once in the afternoon. I made sure each training session was very intense; I usually did 7 or 8 rounds of 8 minutes each. I tried to roll as hard as I could for at least 45 minutes every day. On Friday nights I would add in an extra drilling session and I also tried to mix in at least two Strength and Conditioning sessions per week. That’s all in addition to the drilling and technique I was doing with the team, which was about 45-50 minutes itself per day. Going into first match did you have a plan in mind of what you were going to do? Or do you prefer to just react to what’s happening at that time? I think that a lot of people (including myself) have their first action planned out. I may plan to either pull guard or shoot a takedown (depending on the situation), but after that it’s all just me reacting to my opponent and what’s going on at that specific moment. At this point in your jiujitsu career you’ve competed quite a bit, do you still get nervous or feel any anxiety before you compete? I’m nervous every single time. Honestly every single time before a tournament I’m nervous, to the point where I can’t eat the morning of. But at this point I just know what to expect and how to deal with it, it’s part of the process to me. I listen to music and try to relax, just focus on myself and what I need to do. I actually trained mostly with the Gi for this tournament. 2 days per week I trained No-Gi. I trained every day (Monday-Saturday), and about 3x per week I trained in the morning and at night. I did about 45 minutes of technique and drilling per class, then about 50 minutes of live rolling. A lot of the drilling we did were full sequences, rather than just individual moves. I like to train it all; takedowns, working from guard, passing etc. You never know where the match is going to end up so I like to be prepared for anything that can happen. What’s your opinion on the role of “team” in an individual sport like JiuJitsu? Well I grew up wrestling which is also considered a team sport. But in both sports team is absolutely essential, no one walks alone as they say. If you’re not in an environment that’s positive and where you’re constantly learning and being pushed and training partners that force you to evolve…..you won’t evolve. It’s easy to become stagnant, for negative people to pull you down and effect your mindset. So team is essential, being with a good team and a good group of people is priceless. It honestly makes a huge difference. Environment will effect you whether you think it does or not, so I think having a good team around is absolutely one of the most important things. 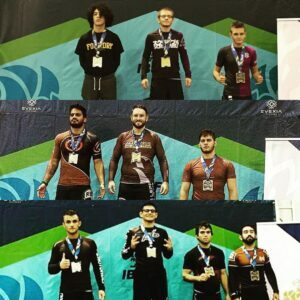 I actually competed the week before No-Gi Pans at this year’s Atlanta Open. During that competition I made sure to take note of things that were working, and things that I struggled with and spent a lot of my time preparing by trying to fix some of my mistakes I had made, and trying to improve some of my weaknesses. You’re a seasoned competitor at this point, do you have any advice for someone that may be feeling some nervousness or fear before they compete? You have to believe in yourself, you really do. Train hard, believe in yourself and never, never give up. Eventually things will work out, you just have to hang in there until that point. It seems that nearly ever weekend there’s an IBJJF tournament in another major metropolitan city, from Los Angeles to New York and every place between the IBJJF is there. Conspicuously absent on that list of host cities however, was Charlotte. Until now that is. After the urging of competitors, coaches and teams, the International Brazilian JiuJitsu Federation announced that they would finally be bringing a tournament to the Queen City. Hearing the news, the entire Lepri BJJ team immediately started preparing. Approaching only it’s second year in existence, this would be the first opportunity for everyone to go compete and support one another. The collective goal for the team was as short as it was simple: just do your best. Lepri BJJ members from all walks of life stepped onto the mats and tested themselves; from the most seasoned competitor(s) and champions, to those just looking to try competing for the first time, the Lepri team had it all. As the day went on and the excitement in the building grew, the camaraderie amongst the team began to grow exponentially. Nervous pacing and mentally reviewing previous matches gave way to excited screams and encouragement yelled from the sidelines. In between matches teammates looked for any familiar face they could find to briefly meet and share match results from earlier in the day, before sprinting off to the next mat to other teammates competing. The importance of results and wins became secondary to supporting one another. At the end of the day as results were tallied the same question was repeatedly asked, “so how did we do?” Everyone had become so engrossed in supporting one another and making sure they had fun, thoughts of results had gone by the wayside. Medals were produced and unofficial tallies were made. Slowly a number started circulating, “321”. People repeatedly asked, “is that good,” as the minutes slowly ticked by. Finally it was announced, “Alliance, 321 points. First place”. Looks of shock slowly gave way to smiles and feelings of intense pride. With nothing more than the dedication of fantastic coaches, hard work, and supportive teammates the Lepri BJJ/Alliance Charlotte family had come together and taken the overall team championship in only its 2nd year of existence.